Well Friday is here, and if you’re like most black-livered red-blooded Americans, you’re likely thinking about taking a sip or two of an adult beverage over the weekend. Here are five things from this week to inspire you to do just that. 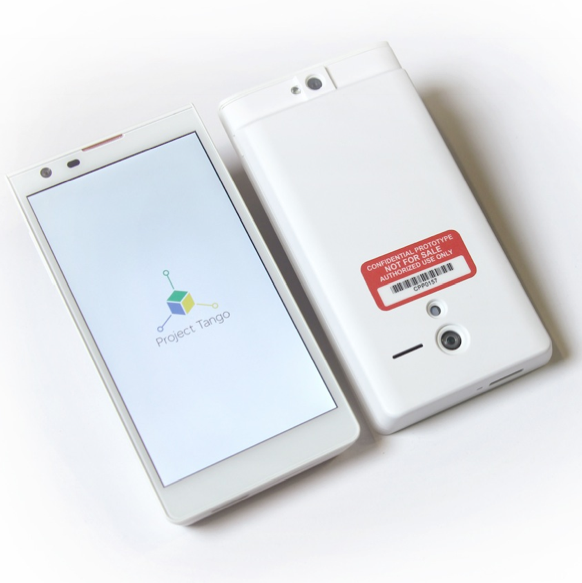 Google Is Skynet – I just learned about Google’s “Project Tango,” an Android smartphone that performs 250,000 3D scans of your environment per second, in essence “seeing” what’s around it in three dimensions. Google says that Project Tango can help people navigate unfamiliar buildings, act as a seeing eye droid for the blind, or assist in locating the marshmallows in the grocery store (is it the candy aisle or the baking aisle?!). However pure their intentions, these are the people who are also developing cars that drive themselves and cyborg eyepieces for “glassholes.” Throw in some Amazon drones and those freaky “Big Dog” walking robots, and we’re basically living somewhere between Terminator and Terminator 2. Wolfie’s fine honey. Wolfie’s just fine. This makes me want to curl up with something big and boozy, like a Great Divide Yeti Chocolate Stout, and finish season 2 of House of Cards – ain’t no robots in that! Enough with Sochi – The closing ceremonies to the 2014 Winter Olympics happen this Sunday, and all I can say is THANK GOD! You ever go to party that’s great at the beginning, but then it goes on and on and on and you wind up just wishing it was over? That’s the Olympics for me – I simply cannot sustain a sense of worldly joy and national pride for more than a day or two before I start to get annoyed. I remember when I was a kid and thought the Olympics were a big deal – now all I feel is a combination of sadness and guilt that I can’t muster the same enthusiasm. I mostly just wish the Olympics would end so the good TV shows that are hiding from the ratings juggernaut come back on to the air. I want to watch Justified, not ice dancing dammit! That said, I think Johnny Weir’s outfits are the greatest thing to ever happen on sports television – he looks so dashing, like a young Billie Jean King! Anyways, the Olympics are exhausting – I need a beer, something bright, fruity and pink in honor of Johnny. I’ll go with a Lindeman’s Framboise! 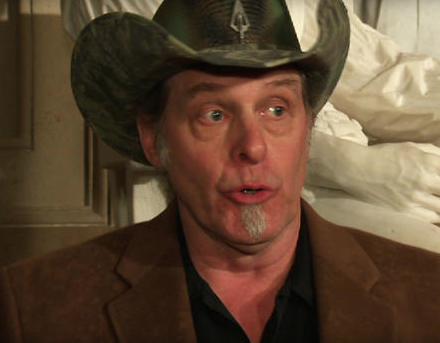 Ted Nugent – I love people who stir things up regardless of their political leanings, but please STFU Ted. Mr. Nugent makes me want to drink Maker Mark straight from the bottle until I have red wax stuck between my teeth. F’ing February – I live in New Jersey, and we’ve had something like 60 inches of snow and ice so far this winter, with little to no melting. That means it’s piled up everywhere, making it impossible to find a decent parking spot anywhere or make a left-hand turn without fearing for my life as mini-glaciers block the view of oncoming traffic. 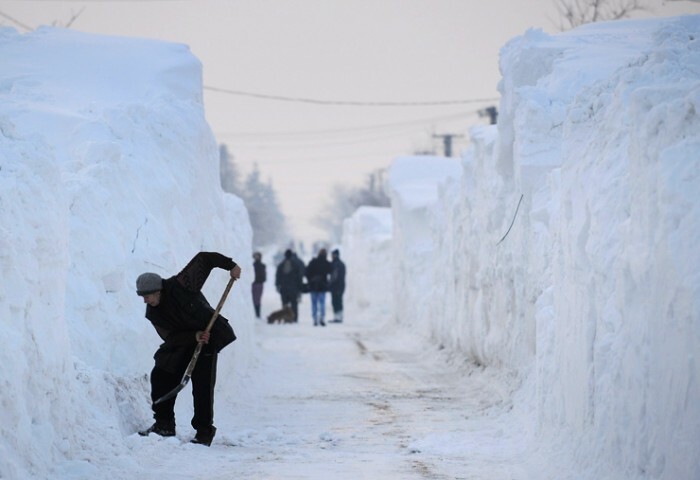 I can’t even back out of my driveway without ramming a snowbank, as my road has gone from 24 feet wide to about 11 feet with rock hard mounds of ice lining either side. Too much snow, too much cold, too much February. I swear if this were a leap year with an extra day tacked onto the end of this hellish month I’d lose my mind. Instead, I’m going to drink some of the left over Troegs Mad Elf I have in the garage, pull up a Burl Ives playlist on Pandora, and pretend that it’s the whitest Christmas ever. 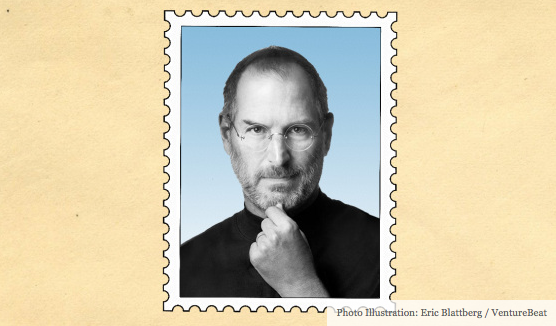 The Steve Jobs Postage Stamp – Does anyone else see the irony in this? I think it’s fine that this unique American megalomaniac is honored by the federal government, but with a postage stamp? That’s like honoring Henry Ford with a special horse bridle, or Victoria’s Secret dedicating a pushup bra to Gloria Steinem – it’s kind of missing the whole point, no? Jobs spent his life trying to force us all into the future, replacing the need for things like record stores and books and paper and SNAIL MAIL with overpriced gadgets that are training us to become socially inept mouth-breathers who can’t remember anything without Googling it on our iPhones. He’s the father of the future; he doesn’t belong on a relic of the past. This makes about as much sense as drinking hearty Dansk Mjød Viking Blod Mead from a wooden stein while surfing the web looking for ways to be more politically correct. They exist. Thor help me! That’s why I’m drinking this weekend – how about you? Because its my birthday weekend. Happy B-day to me! Thanks guys. Yep, temps going to near 50. I’m pulling some special beers from the cellar for the weekend. I love Uinta – my current favorite is their Dubhe black IPA brewed with hemp, but at 10% ABV or thereabouts, i know it’s not your ball of wax (but its’a damn good beer!). I’ll give it a try if I run across it. I lift a class of the higher ABV stuff on occasion (like just last week when I shared a few pints of good stuff w/ friends at a local Ale House) but mostly I keep to beers of under 8% alky. Seeing Johnny Weir on the Olympics makes me want to drink methanol, not beer. I appreciate how he’s gay-trolling the Russians with his get-ups. For some reason I find it hilarious. Wait, what? You don’t like the Russian Gumby Girl? And don’t tell me you won’t push for more curling on TV year round. Hell, I’d watch over and over just to see what the wacky Norwegians are wearing. I love Four Roses, but small batch is my jam. I like the single stuff, too, but the blend on the small batch and the slightly reduced heat make it scrumptious, which is a word I don’t usually associate with spirits. Anyway, enjoy!! Can you get that snow and ice stuff trucked out to California? It would take care of your problem and ours–win/win! In the meantime, I’m going to drink some of my hoppy pale ale and watch videos of cats and curling…combined. Could this video have something to do with Putin jailing pussyriot? We would be more than happy to share w/ you Norm–especially seeing as how the jet stream is actually dumping your precip on us. I’ll be right there. First, I have to go to Ace Hardware and pick up some plastic buckets. I’m starting the weekend Southern Tier style. Two LIVE’s at the local watering hole, now working a 2XONE. Alas, the Southern Tier is in short supply in the ol’ beer fridge, though. I do, however, have a case of Saranac Winter beers that I got at BJs earlier this week (the price was right). Saranac comes and goes, but I’ve been impressed with their recent offerings. No hop bombs or imperials but just good clean honest sessionable beer. Still on the lookout for Sierra Nevada Bigfoot and Ellicottville has a new offering – Stainless Steel Obsession, an IPA that I’ve been told has unique hop characters. I love their IPAs I’ve gotten on site, I think this may be their first bottled IPA. Always enjoy your postings – this one in particular. Cheers! 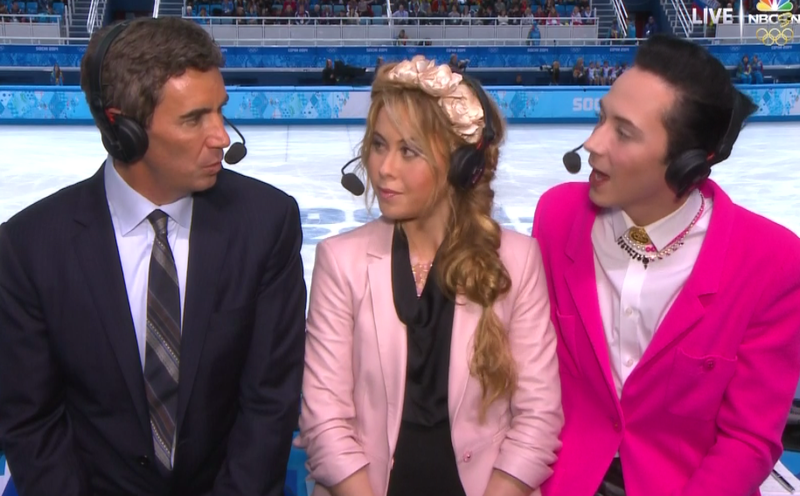 Johnny Weir doesn’t have anything on Don Cherry when it comes to crazy get-ups…….. I laughed til’ I hurt! Thanks for that!